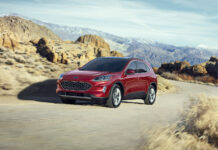 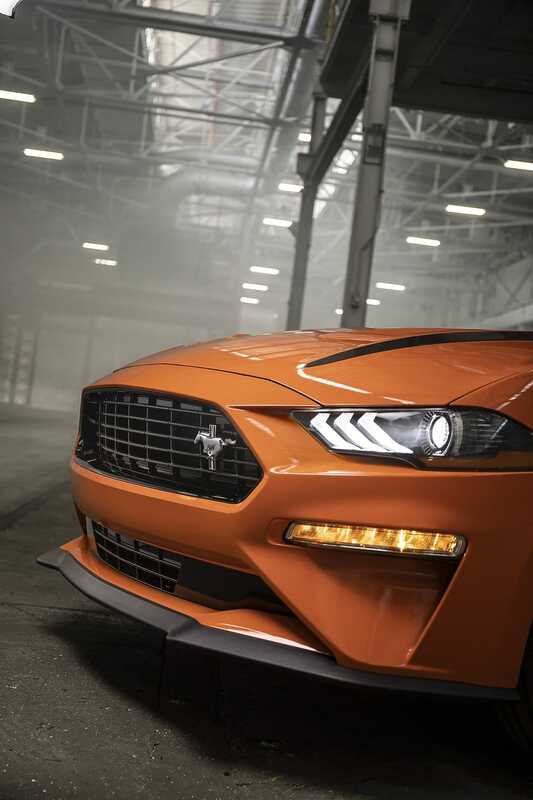 The Ford Mustang isn’t getting a full redesign just yet, but Ford did make some pretty significant changes to the 2020 model. 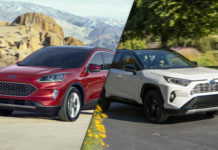 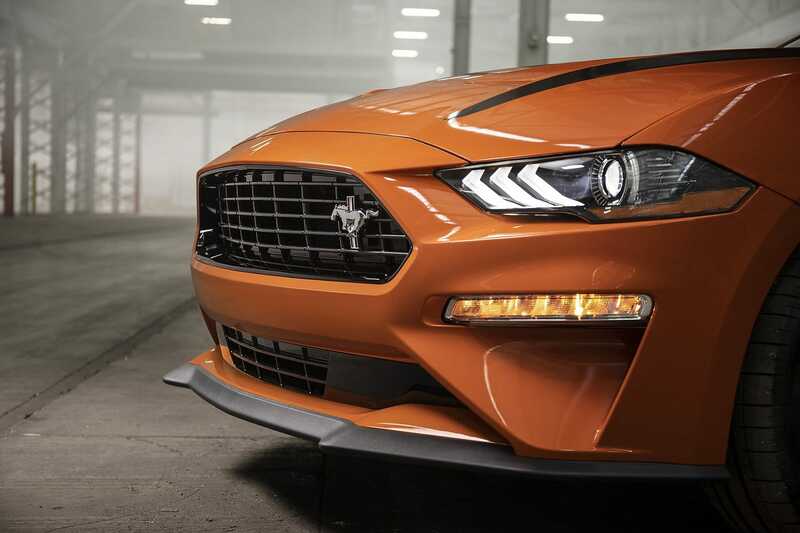 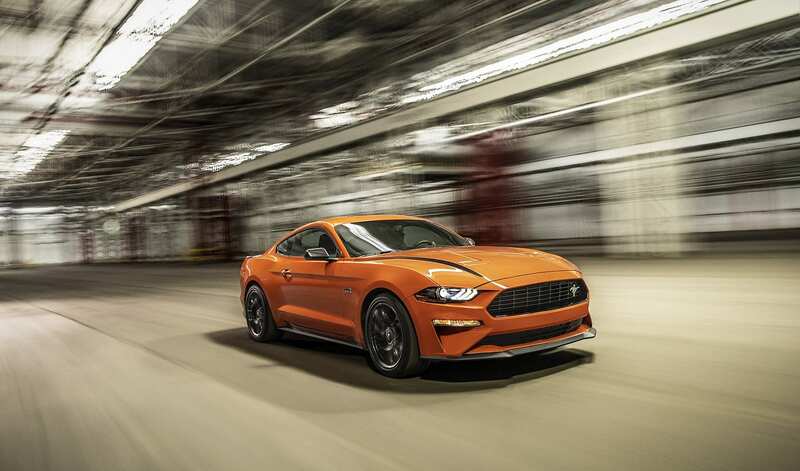 The 2020 Ford Mustang will have more power thanks to a new High Performance package for the entry-level EcoBoost model and more features in every trim. That said, the highlight of the changes made a few days before the New York Auto Show are definitely this new High Performance Package. 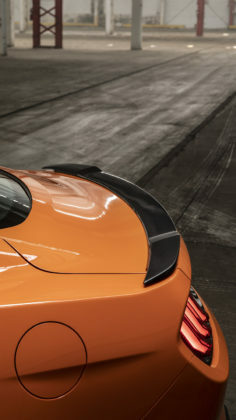 Let’s take a closer look. 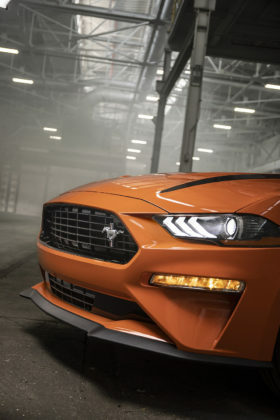 Thanks to this new package developed by Ford Performance, the 2020 Ford Mustang EcoBoost essentially gets the heart of the Ford Focus RS under the hood. 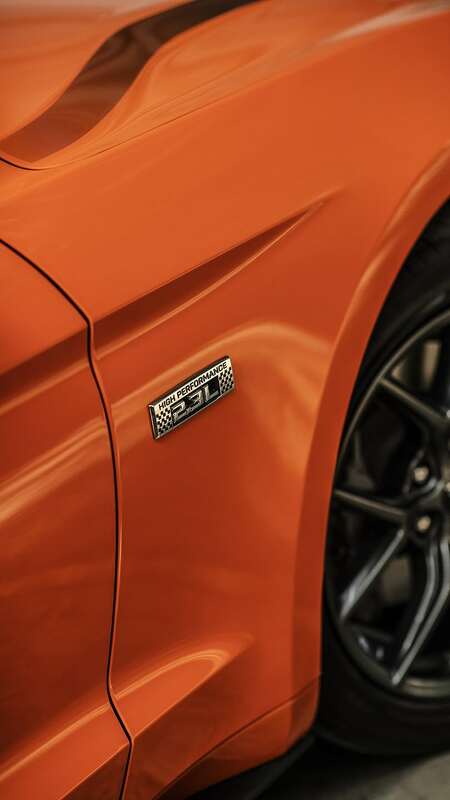 With 330 horsepower and 350 pound-feet of torque, it’s not exactly the same power levels as the Focus RS, but it’s good enough to get to 100 km/h in under 5.0 seconds which is plenty fast. Better yet, active exhaust is now standard which means a more agressive sound coming out the pack as you explore the High Performance Mustang’s capabilities. 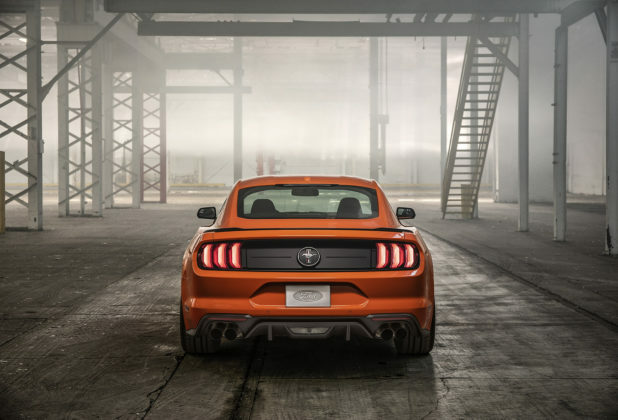 The previous Mustang EcoBoost was notorious for manufacturing sound out of the speakers. This new 2020 model should be more authentic. 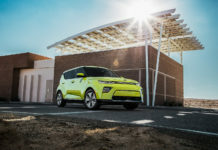 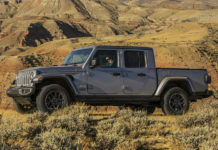 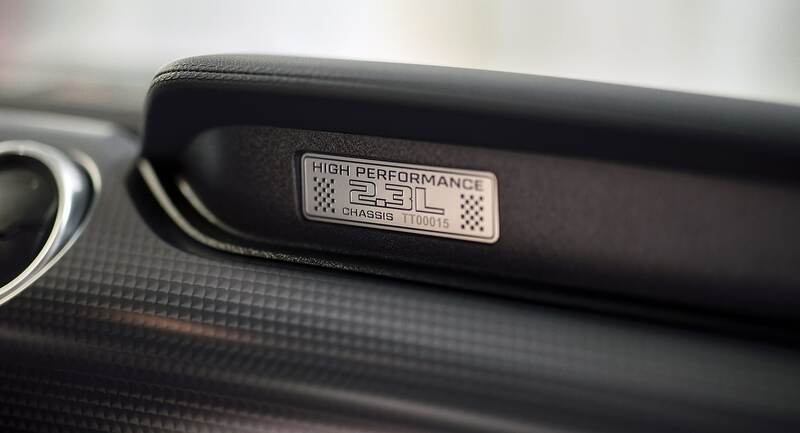 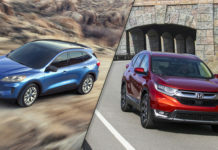 A lot of improvements were done on the new 2020 2.3L High Performance Package to make it stand out. 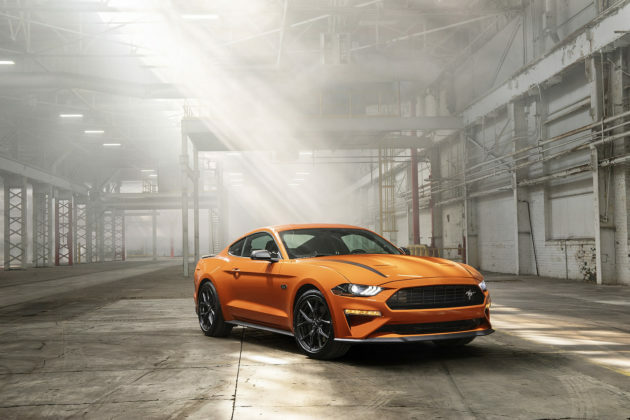 A few of those upgrades are coming from the Mustang GT and its Performance Package, mostly chassis and aerodynamic upgrades. 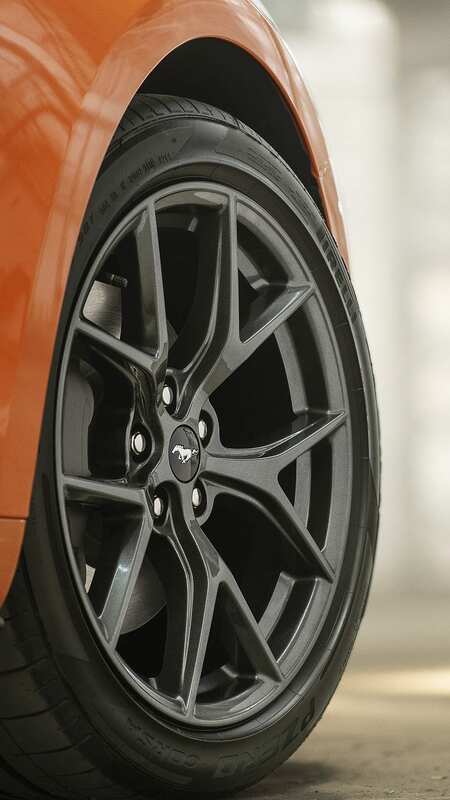 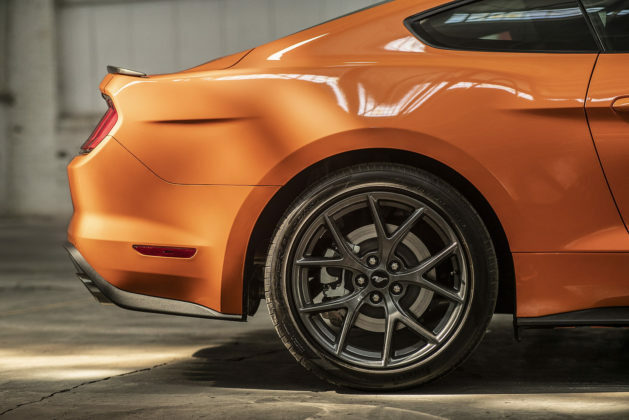 Indeed, the High Performance Package features the Mustang GT’s four-piston fixed calipers with 13.9-inch front rotors as well as a large black front splitter and belly pan, plus brake cooling ramps. 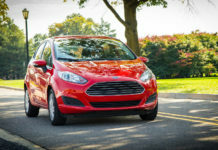 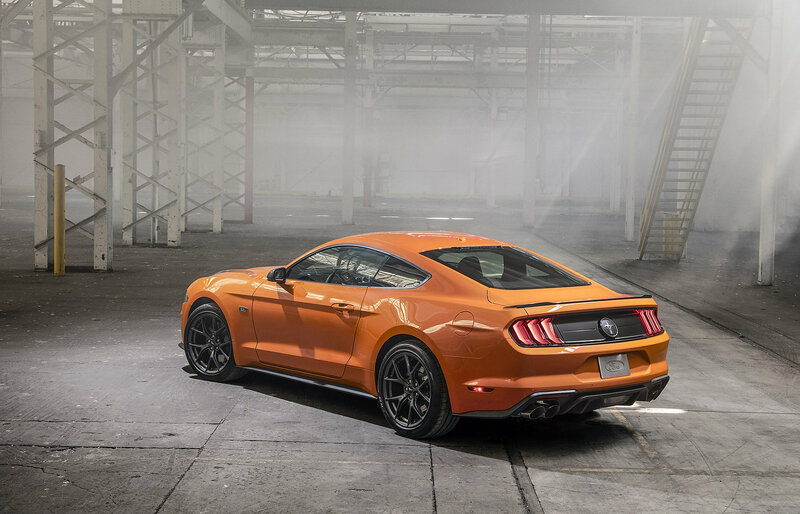 In addition, a new EcoBoost Handling Package is available and includes an alloy strut tower brace in order to stiffen the chassis as well as specially calibrated MagneRide dampers and a 3.55:1 limited-slip rear axle. 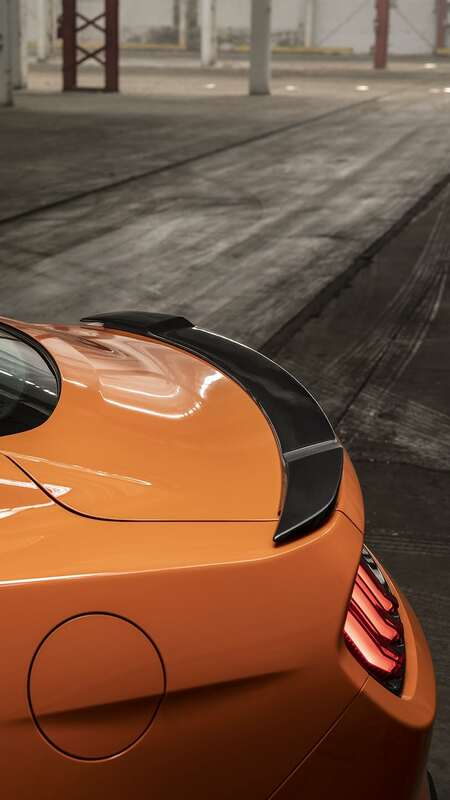 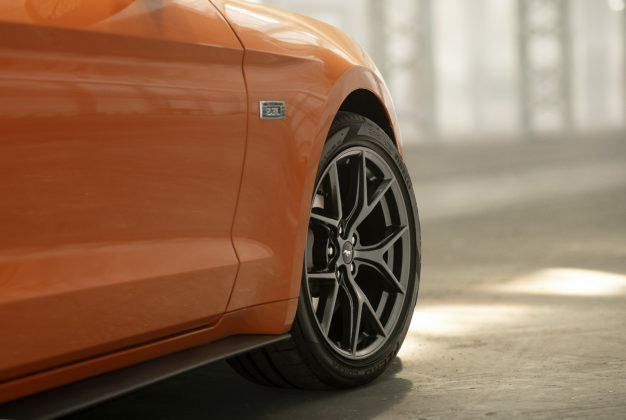 The package, that comes only on the 2020 Mustang EcoBoost fastback coupe with the 2.3L High Performance Package also features some wider 19-inch wheels on Pirelli P Zero Corsa4 tires. Now standard on the 2020 Mustang is FordPass Connect which allows the driver to interact with their Ford via a phone app. The app lets you locate where you parked your car and lock and unlock it. 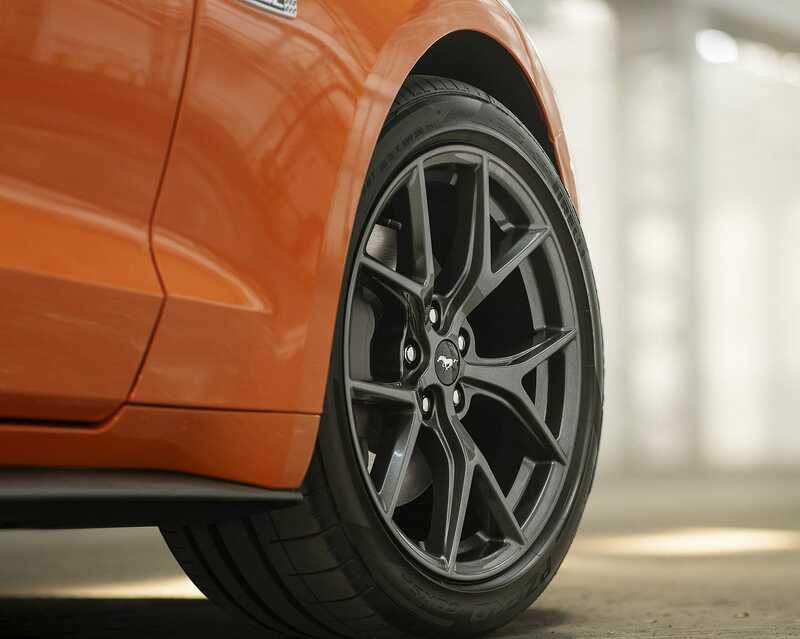 You can also check your vehicle status with it, like the fuel and oil levels and see the maintenance alerts. It also includes a remote starter but only if your Mustang is automatic. 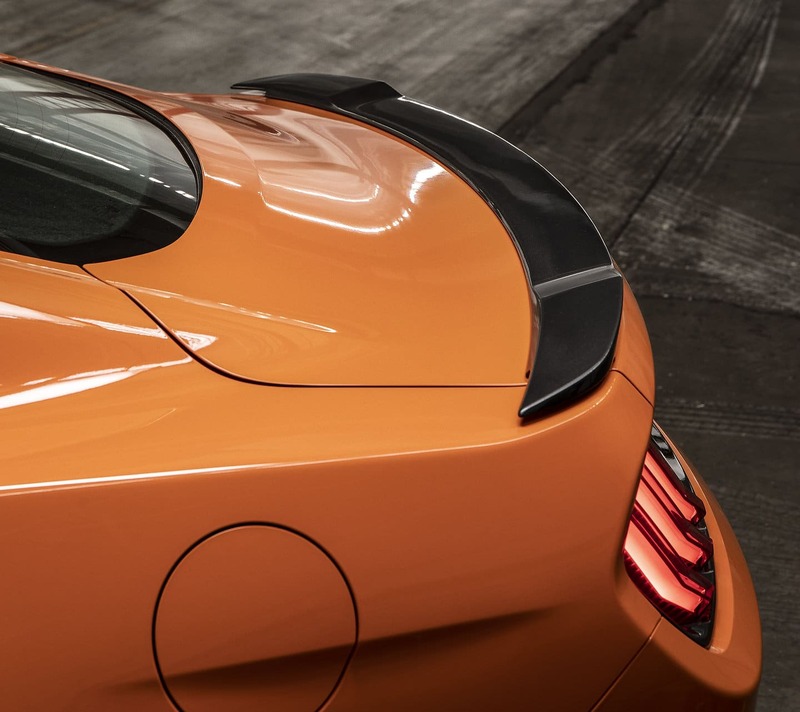 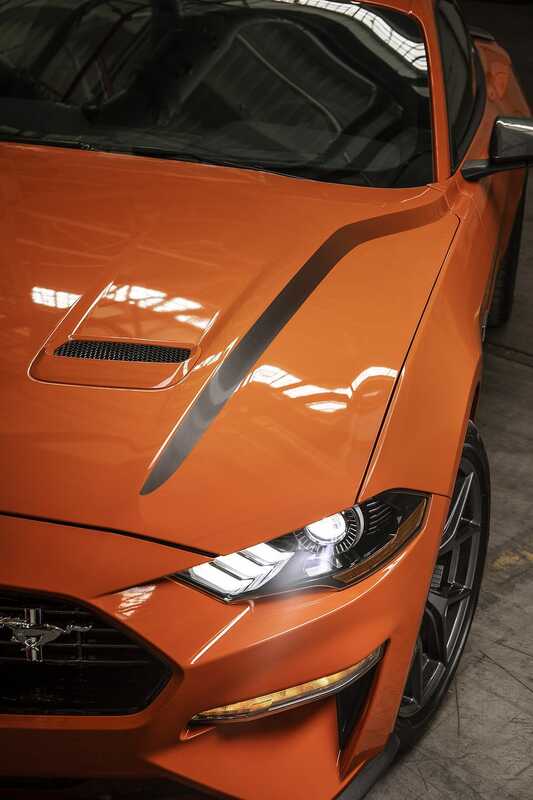 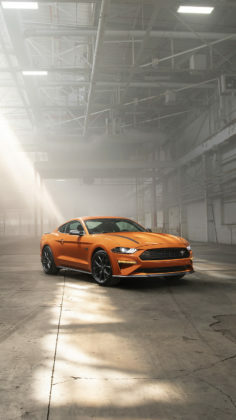 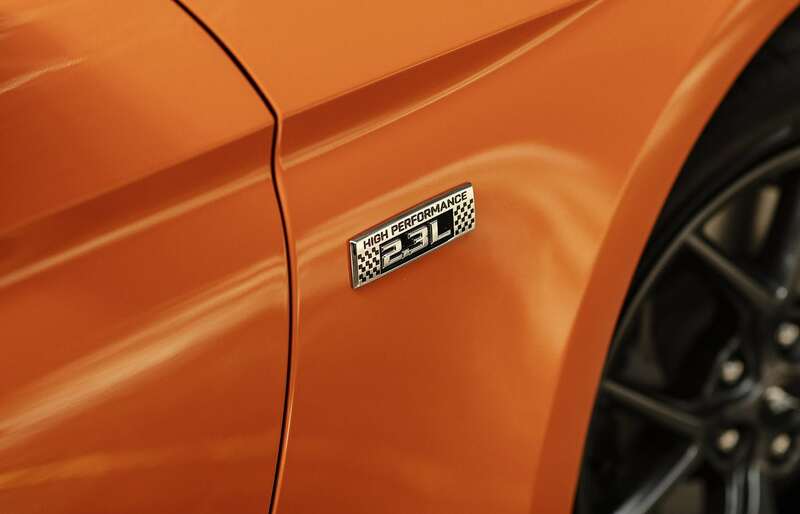 Four new colors were also added in the range on the new 2020 Ford Mustang: Grabber Lime, Iconic Silver, Red Hot Metallic Tinted Clearcoat and Twister Orange. Furthermore, new 17-inch wheels are now standard on the base 2020 Mustang EcoBoost. 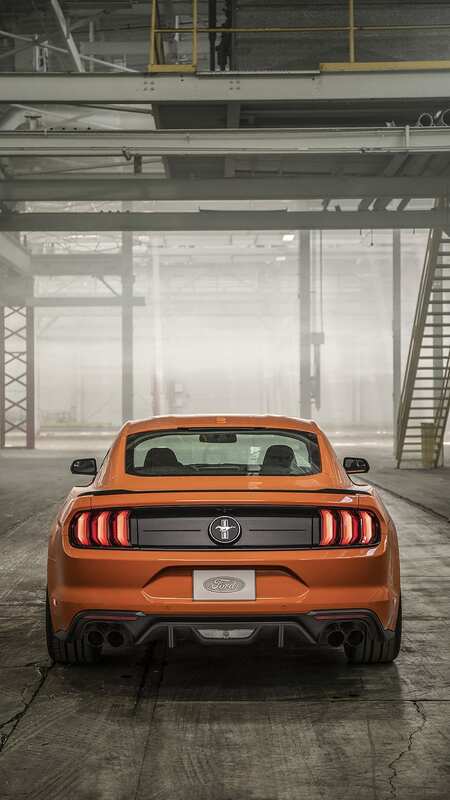 You should see the 2020 Ford Mustang with 2.3L High Performance Package on dealership show floors this fall.